The United States has "poisoned the well, so to speak" for Edward Snowden's chances of receiving a fair trial, his father worried Sunday, shortly after declaring he has secured travel documents to visit his son in Russia, where he has taken asylum. "As a father, I want my son to come home if I believe that the justice system... is going to be applied correctly," Lon Snowden said on ABC's "This Week." Federal prosecutors have filed three criminal complaints against Edward Snowden - two of which were brought under the Espionage Act - for leaking information in May about top-secret National Security Agency programs designed to track potential terrorist activity by culling metadata from U.S. citizens. During his trip, the elder Snowden said he plans to convey to his son that he's "not open" to a plea deal with U.S. authorities. He cited his doubts that the "absolutely irresponsible" descriptions of Edward's actions by lawmakers and President Obama's administration would not sway a future jury. Stateside, though, U.S. officials seem uncertain how to even classify Snowden. "Traitor" was the favorite in the immediate, fiery aftermath of his revelations - brandished by everyone from Secretary of State John Kerry to House Speaker John Boehner, R-Ohio. But it wasn't fired once on this week's Sunday show circuit. Appearing on CBS News' "Face the Nation," Gen. Michael Hayden - former CIA and NSA director - while defending the NSA programs as being effective and legally sound, argued: "Traitor is narrowly defined in the Constitution. ...We used to have a word for somebody who stole our secrets, who got the job to steal our secrets, and then he moved with those secrets to a foreign country, and made those secrets public. It wasn't a whistleblower; it was defector. And I actually think that's a very good word for him." But that term, "whistleblower," has been wielded since the beginning by Snowden supporters like Wikileaks founder Julian Assange, who remains holed up in fear of extradition over his own release of classified U.S. documents. This weekend, Assange trumpeted what he perceived to be concession by the president that Snowden indeed fits the "whistleblower" mold. Mr. Obama on Friday laid out a series of steps to reform NSA transparency and oversight - and in the same breath, preempted the idea that Snowden single-handedly jumpstarted debate over government surveillance. 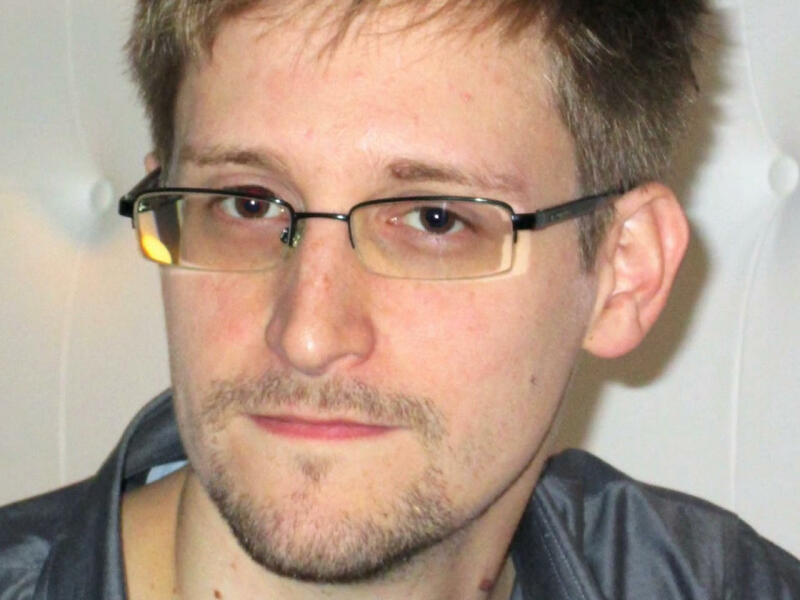 "I called for a thorough review of our surveillance operations before Mr. Snowden made these leaks," he said. "My preference - and I think the American people's preference - would have been for a lawful, orderly examination of these laws; a thoughtful, fact-based debate." Assange in a statement scoffed at that assessment, opining that "the President and people of the United States and around the world owe Edward Snowden a debt of gratitude" because "without Snowden's disclosures, no one would know about the programs and no reforms could take place. ...His biggest concern was if he blew the whistle and chance did not occur. Well, reforms are taking shape." Hayden on Sunday tried to bolster the president's point, arguing that "clearly," the debate about government surveillance overreach "was coming," and Snowden acted simply as a catalyst. Snowden, he said, "accelerated it; he didn't inform it. He made it more emotional. And so, you know, there are some real downsides to what he's done. I'll give you an example. You and I witnessed Katrina, right? I'm telling you right now... the levees around Lake Pontchartrain are the strongest they've been in a century, but Katrina was still a bad thing and that's how I view Mr. Snowden." One GOP lawmaker, though, rallied to Assange's side, saying the president wouldn't have rolled out "window dressing" reforms to lawful, working surveillance programs had it not been for Snowden. "I think Snowden came out, leaked this information, and the White House has been backtracking ever since," House Homeland Security Committee Chairman Mike McCaul, R-Texas, said on NBC's "Meet the Press." "The problem fundamentally is he's failed to explain these programs, which are lawful, which have saved lives, which have stopped terrorist plots. He has not adequately defended them. "And now he's in a bit of a mess," McCaul continued, "because on the heels of the IRS scandal, where peopled don't trust this government, this administration, with their tax records, they sure don't trust this administration with their phone records." Rep. Peter King, R-N.Y., a member of the House Intelligence Committee, agreed on "Face the Nation" the president's primary fault has been staying "silent for the past two months." "He allowed the Edward Snowdens and others in the world to dominate the media, and now we have people thinking the NSA is spying on people, is listening to our phone calls," he said. "The president of the United States as commander-in-chief had the obligation to be aggressively and effectively defending his program, and he really didn't do it." The top Democrat on the House Intelligence Committee, Rep. Dutch Ruppersberger, D-Md., offered up his own take on Snowden, which he said "speaks for itself": "When you work for the intelligence community, first thing you take an oath not to violate classified information. This individual now has said that he went in for the purpose of getting information. He turned his back on his country and where did he go once he got this information? He went to China and then he went to Russia." Still, though the NSA surveillance methods in no way violate Americans' privacy, Ruppersberger qualified, with details of the programs circulating internationally thanks to Snowden, reforms may be necessary, if only to placate public perception. "We in politics have to deal with perception, not just reality," he said. "And we need to do better in educating our public so they are not fearful that we, the government, are violating their privacy - that's very important."